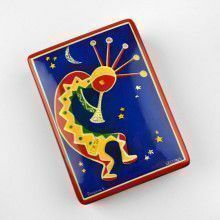 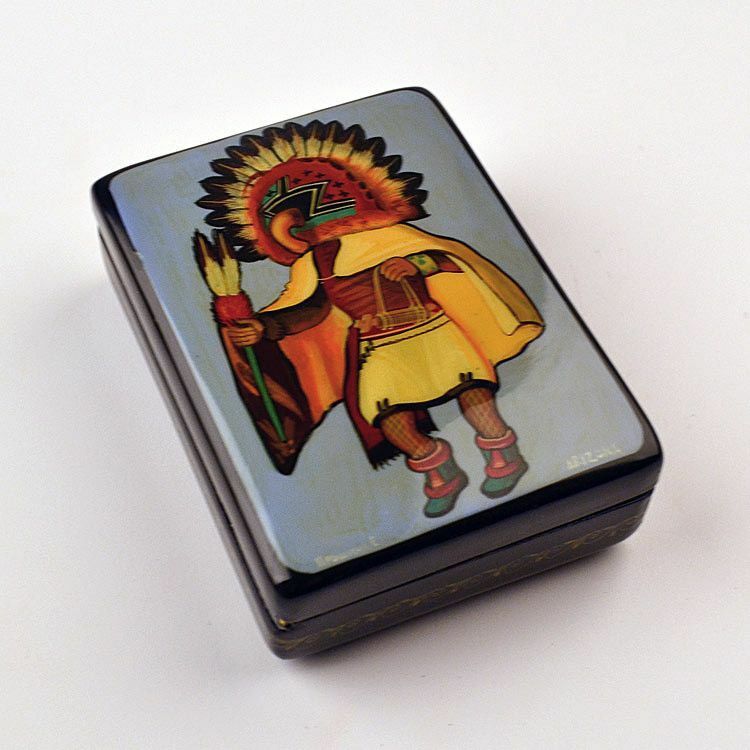 This Arizona/Southwestern themed lacquer box was hand-crafted in Russia using old techniques and paper-mache. 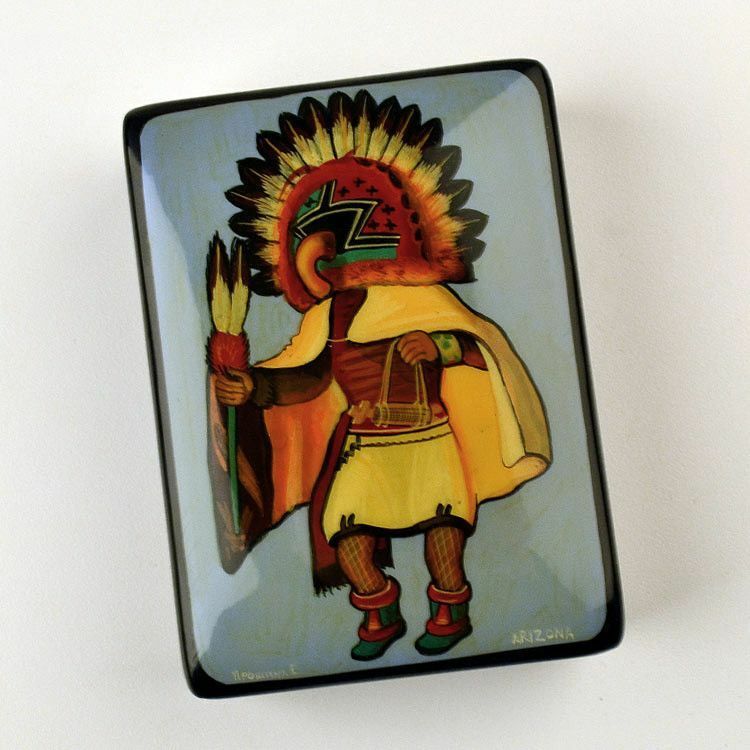 It depicts a Hopi Chief Kachina from the Native American tribe. 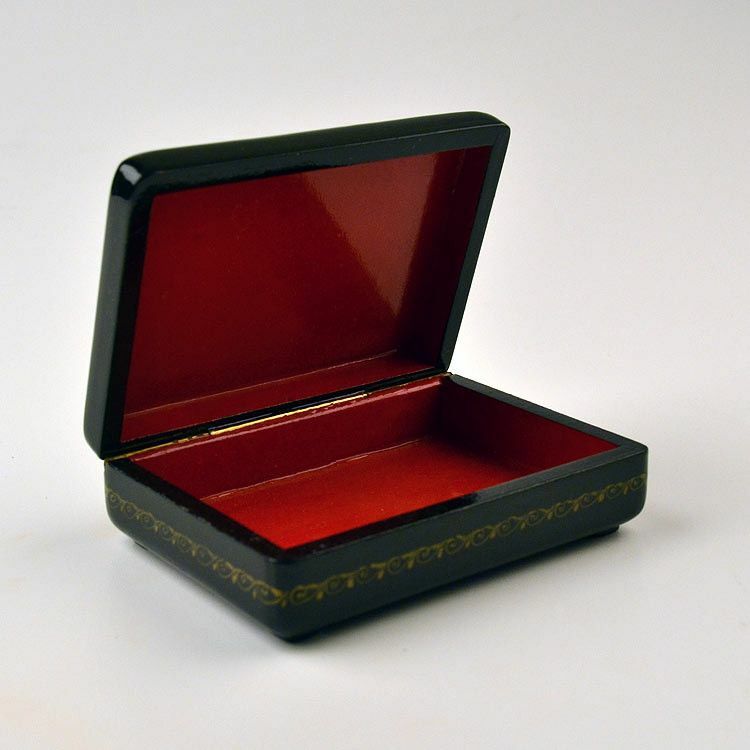 The interior of the box is covered with a vibrant red lacquer. 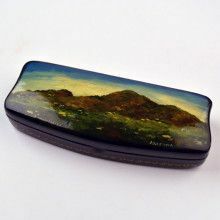 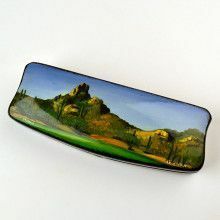 This glossy lacquer box is hinged and is about 4 1/4" x 3" in size, with a depth of about 1". 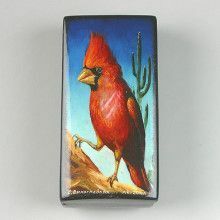 About 4 1/4" x 3"